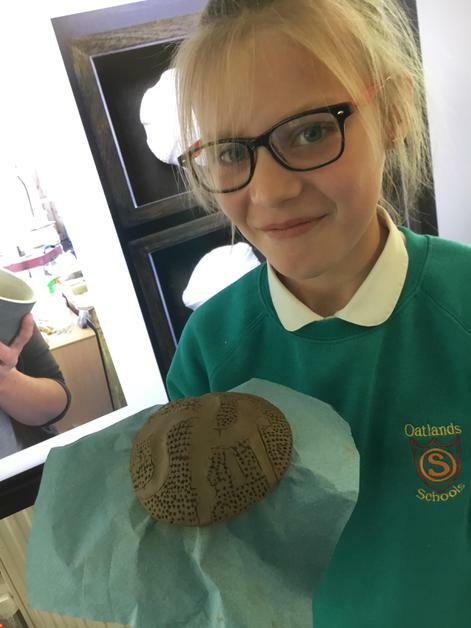 At Oatlands Junior School we aim to inspire a broad range of exciting, artistic and relevant experiences which fuels creative imagination. 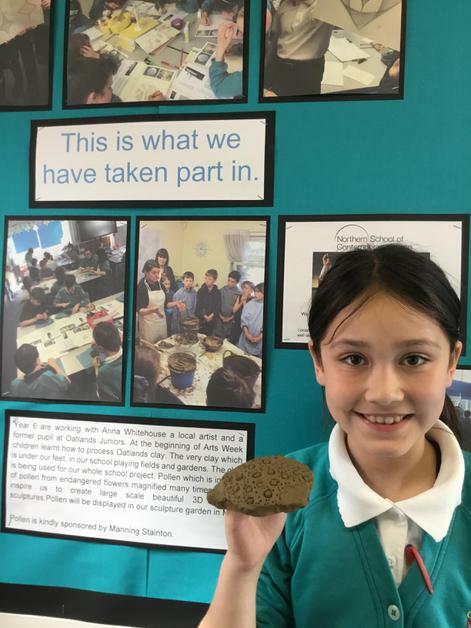 Art at Oatlands promotes diversity, respect and intercultural understanding, enhanced well-being, self esteem and confidence, fostering transferable skills and supporting problem solving. Children develop high standards of skills and techniques in painting, drawing, photography, multimedia, animation, printing, mixed media, sculpture and installation. 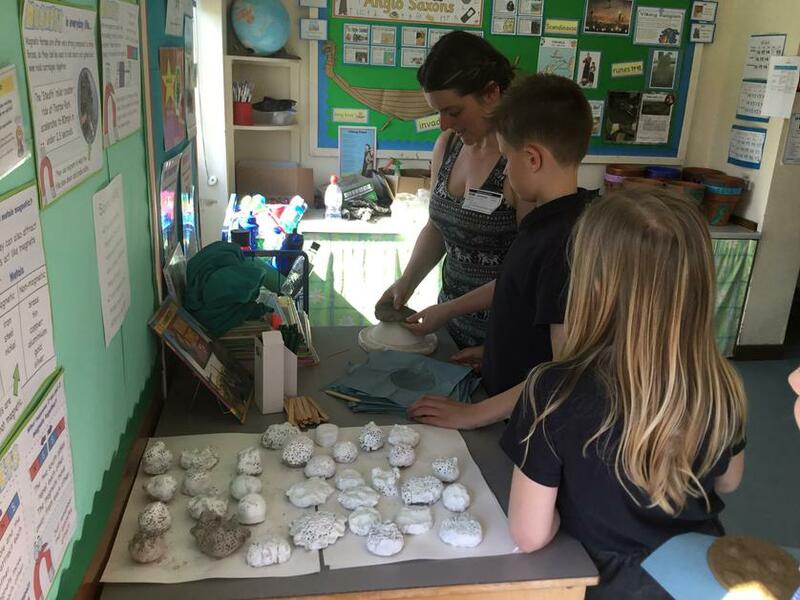 Through traditional and contemporary practice children at Oatlands are encouraged to express themselves creatively and have a voice to be heard. Art at Oatlands is recognised for its collaboration with arts organisations and its many achievements locally, nationally and internationally and celebrates creative expression and individuality for all children. All year groups are working hard to develop final art works for our forthcoming Arts Exhibition in June. This is our yearly evening event where family and friends can make a donation to receive artworks created by our talented children. This year we are raising money for Year 6 taking their Arts Award to enable them to put be put forward for moderation and receive their certificate in either Explore or Discover level. We are wishing to raise as much as possible for Craft Aid International who do inspiring and fantastic work for people who are differently abled in the UK and across the world. Take a look at some of the artworks in progress for the exhibition. In Spring Term we have been preparing for Arts Week. This year’s theme, Celebrating Difference, is part of a year long programme looking at diversity within Art and Design. Celebrating Difference, celebrates people in the arts who are differently abled, whether through physical disability, learning difficulties or disability through illness. Take a look at some of the artists we have been studying, and have been inspired by, also activities we have taken part in during Arts Week. You will find this in the Arts at OJS- Arts Week on our website. Year 3 have been designing the Christmas cover for the magazine, The Big Issue as part of a competition. This competition was kindly brought in by Holly in Owls who thought this would be great for one of our Art lessons. The Big Issue magazine, was created to offer homeless people or individuals at risk of homelessness, the opportunity to earn an income. It’s the worlds most widely circulated newspaper. Children reflected on people who may be homeless this Christmas as part of this years, Diversity, theme in Art. Year 6 practising drawing and watercolour skills, designing a Christmas card for a competition run by Yorkshire Education. Good Luck Year 6. Year 5 and Meerkats have been looking at the history of gender discrimination in Art and learning about two of the founding members of the Royal Academy in 1768, Angelica Kauffman and Mary Moser. Both women faced discrimination because of their gender and after them no women were allowed membership again to the Royal Academy until 1922. Children have been working on their observational drawing techniques looking at the style of artist Mary Moser. Meerkats developing their watercolour skills by creating their first layer using paintbrush techniques inspired by the artist Mary Moser. Grizzly Bears have been developing their drawing techniques and learning how to draw to a larger scale from A5 to A3. Dylan’s drawing shows the use of good sketching techniques and working lighter to enable a change of line to develop the shape or scale. 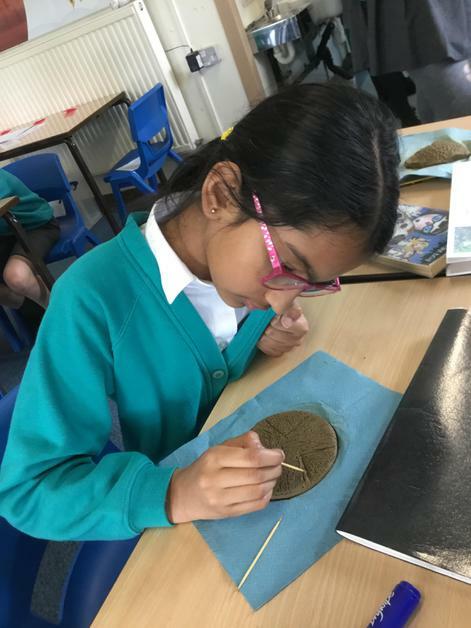 In Year 6 children have been looking at the artist Lubaina Himid, a British contemporary artist who was the first black woman over the age of 50 to win the Turner Prize in 2017. 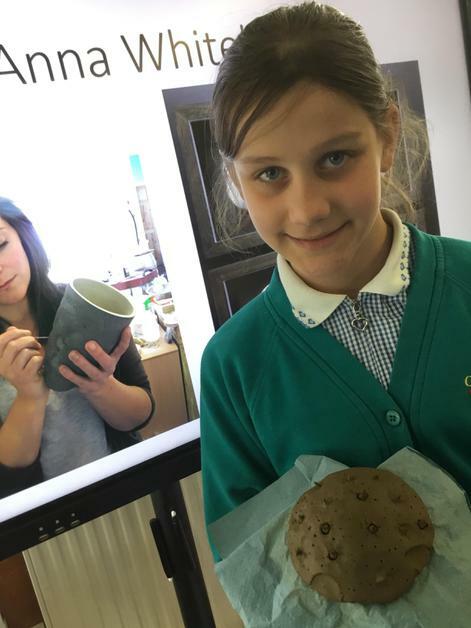 Children have been looking at how her art focuses on themes of cultural history and reclaiming identities. Georgia O Keeffe inspired drawings using observational drawing techniques including how to draw multiple objects on a larger scale and drawing using perspective. Children looked at using a viewfinder to create a composition of their still life from their observations. Whole School Remembrance Poppy Display using our Georgia O’Keeffe inspired study mixed media paintings. This term as part of our Diversity theme in Art we have been looking at gender discrimination in the history of Art and how women have been under represented in the past. In Art we have been looking at the art work of Georgia O’Keeffe an American artist, who played an important part in the development of modern art in America, becoming the first female painter to gain respect in New York’s art world in the 1920’s. She was called a pioneer for painting nature in a new way, simplifying its shapes and forms. Georgia O’ Keeffe was never afraid to stand out as an individual. We all started the new school year with an observational drawing session in Art to identify our own targets in drawing. Our wonderful and talented members of Art Club Speciman drawings to be submitted for the Nancy Rothwell Award. Good Luck. It was our last Art Club meeting today as many of our members are our soon to be Year 6 leavers where we wish them all the best for their next steps to Senior School. A talented group where I look forward to hearing about their future successes. Our newest members Finley and Grace have created art works for the YPO Competition, we wish them well. In 3H today we had parents and family visiting the class where we were having an Art Lesson. Today we created our own imaginative magical creature inspired by the illustrations developed for the Harry Potter films. Parents and families were welcomed to join in the activity. 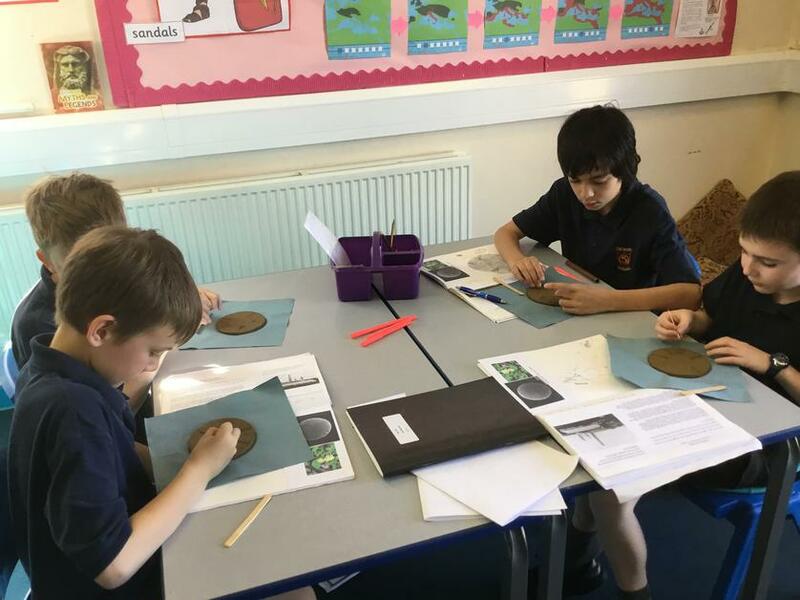 Year 6, this half term have been working on their personal projects, either individually or in groups. 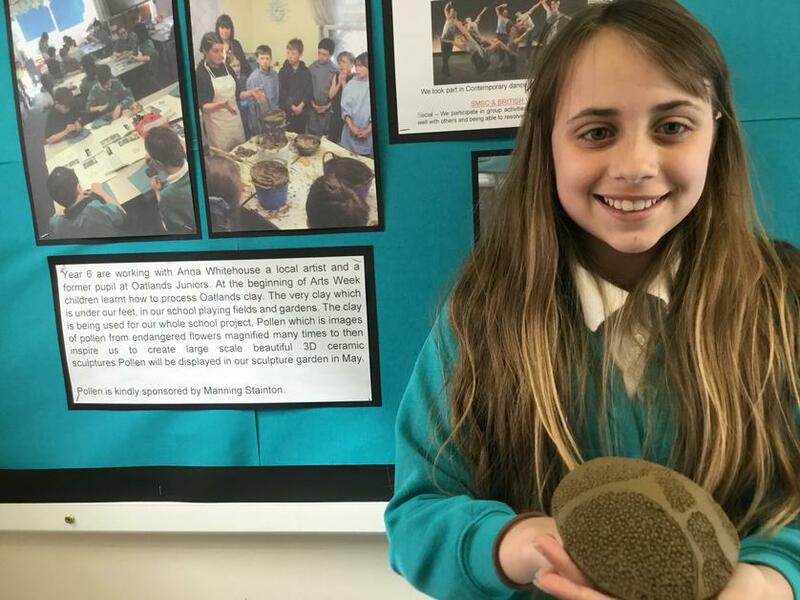 Children were asked to research, develop ideas, experiment with materials and media to create a final piece of work. This is the first time this project has run, but being such a fantastic, talented and ambitious year group they wanted to develop their areas of interest in Art and Design. Have a look below at some of the work developing so far, to see how amazing our young artists are. 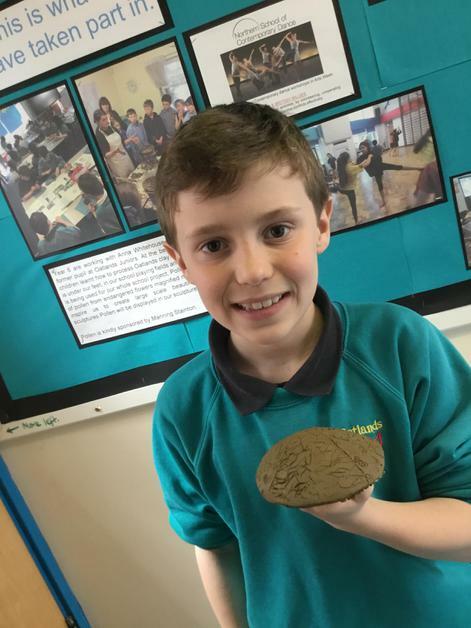 Finley and Tegan have worked together researching Georgian Architecture and Interior Design to create their own design of a Georgian house and designed interior. Jasmine has created a printed photography book of her beautiful flower and plant macro photographs. An outstanding final art piece. Jasmine’s stunning photography demonstrating excellent compositions and use of light. Jack’s beautiful landscape photographs for the personal project. Incredible. Year 5 have helped with creating tiles needed for the upcoming Year 6 production set of More! an adaption of Oliver. 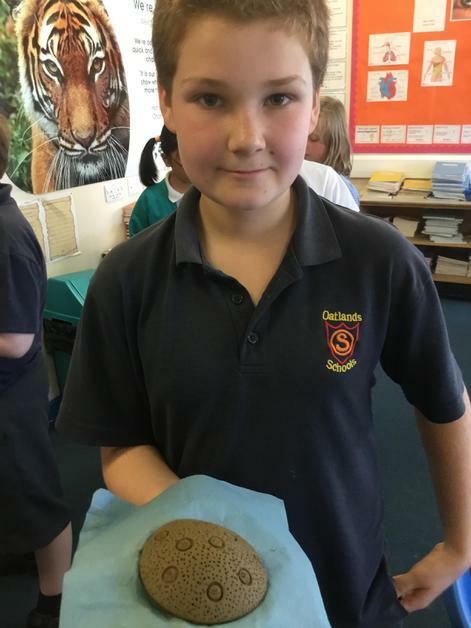 Mrs Evans,who built the wonderful fireplace for the set for the production asked if Year 5 could make some authentic looking tiles to put on the fireplace. In our Art lesson we looked at the work of William Morris, an English textile designer, poet, novelist and translator. Associated with the British Arts and Craft Movement, he was a major contributor to the revival of traditional British textile design and methods of production. Children created a study each of one of his popular designs which can be seen on the fireplace. 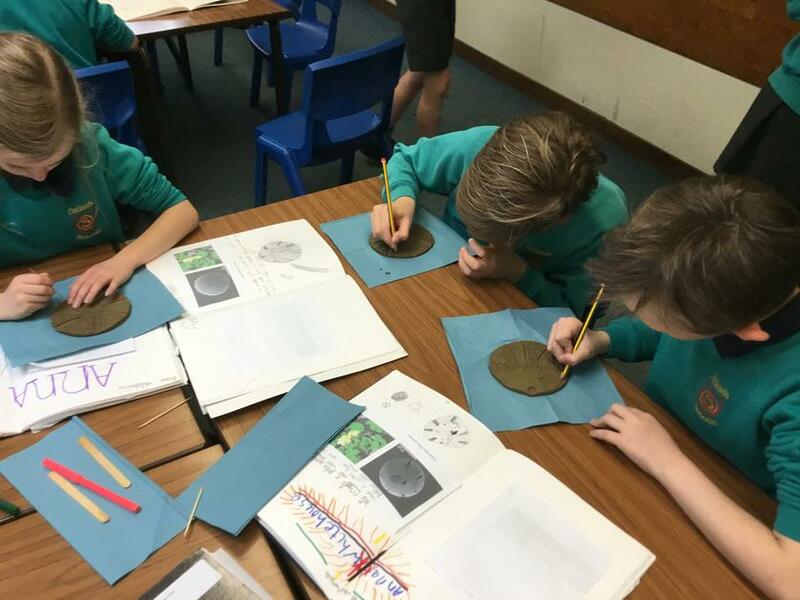 In the last few Art lessons of the Summer Term, Year 5 have been developing their observational drawing skills. Throughout the Year we have focused sessions throughout the year groups of observational drawing to help us develop our fine motor skills, hand and eye coordination, concentration and spatial awareness. Observational drawing is also good for developing focus and relaxing us when times get a bit busy. Year 3 looked at how to make a teacup and saucer look 3D in a 2D drawing using line, highlight and shadow. 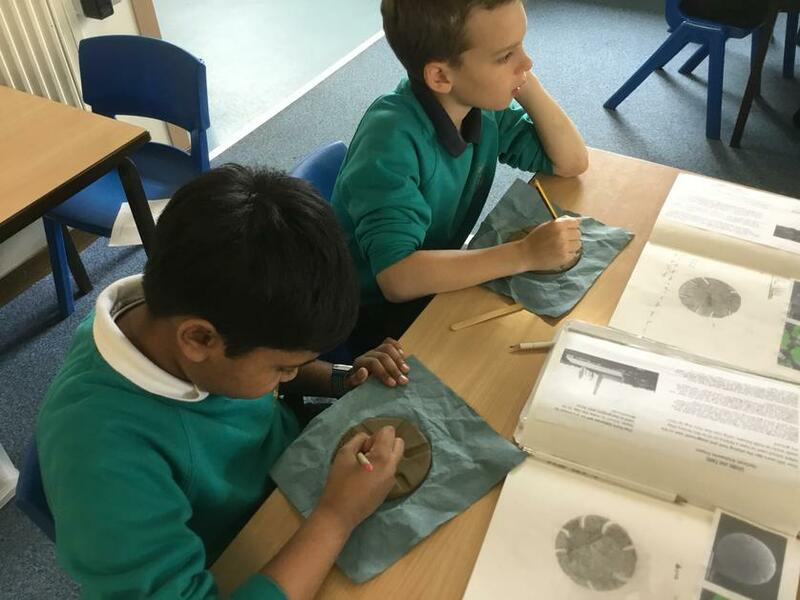 Year 4 have been drawing shells looking at shape, line and detail. Look in Arts At OJS for Arts Exhibition 2018 For our exciting evening event 12th June. Congratulations to Rosa, Madeline and Katie who received their prizes and certificates, recieving a special mention for their fantastic designs making it difficult for the judges to choose their overall winner. It was a wonderful afternoon at the prize giving event at Fountains Abbey and Studley Royal where after receiving their prizes, all three children and their families were able to have a look around at the Folly’s, including the winning design, The Cloud by Foster Carter, who we wish to congratulate. 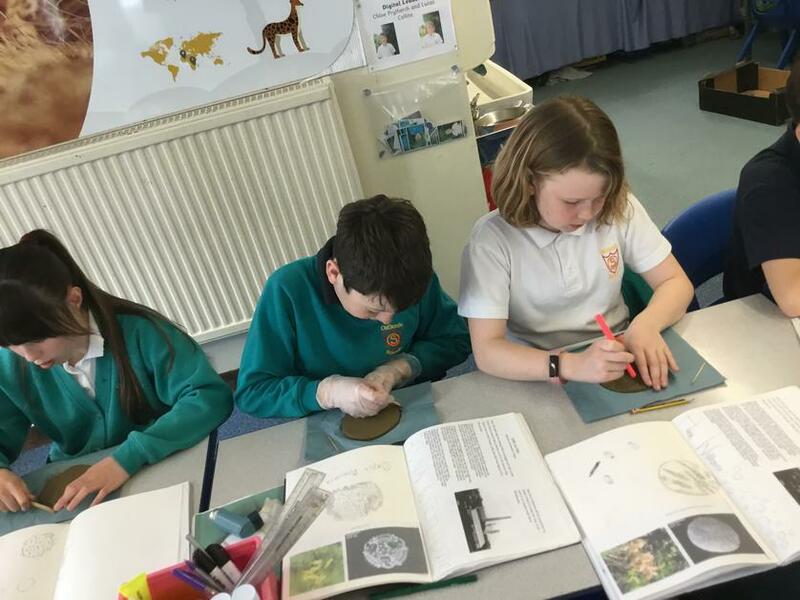 Children in Art Club have been developing their drawing skills by creating specimen drawings for the competition run by the Royal Society of Biology; The Nancy Rothwell Award in Speciman Drawing. A specimen drawing or a biological drawing is an accurate type of drawing which requires excellent observation skills. Our talented Art Club members have been planning and practising techniques for their drawings. I am pleased to let you know that nearly all the children’s work submitted for the Folly Competition including our three prize winning children Katie, Madeline and Rosa can be found on the following website. 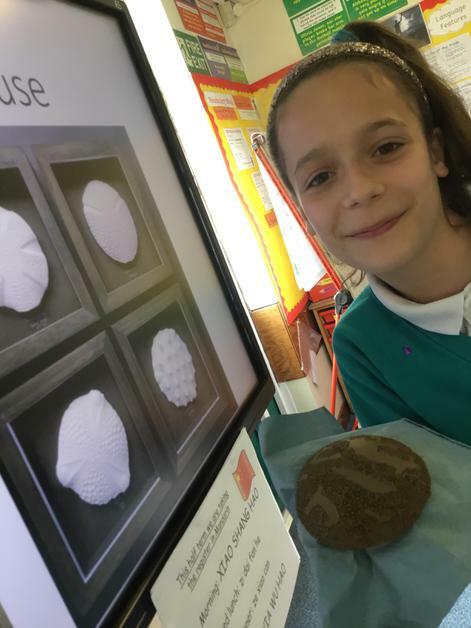 As well as illustrating the winning entries, it is a celebration of all of the designs that the competition received, along with some photos of the workshops. It can be seen at https://www.archikids.co.uk or just click on the link below. This is what Ruth Donnelly had to say about our talented and amazing children on the website. "The children were so incredibly enthusiastic during the workshop, During the design task, each created numerous designs in the 15 minutes given. I was particularly impressed to see them discuss their ideas with each other. Pupils were very keen to share their designs with the class at the end of the session, and expressed their ideas very clearly, illustrating very good communication skills. Most architects would not have done as well!" 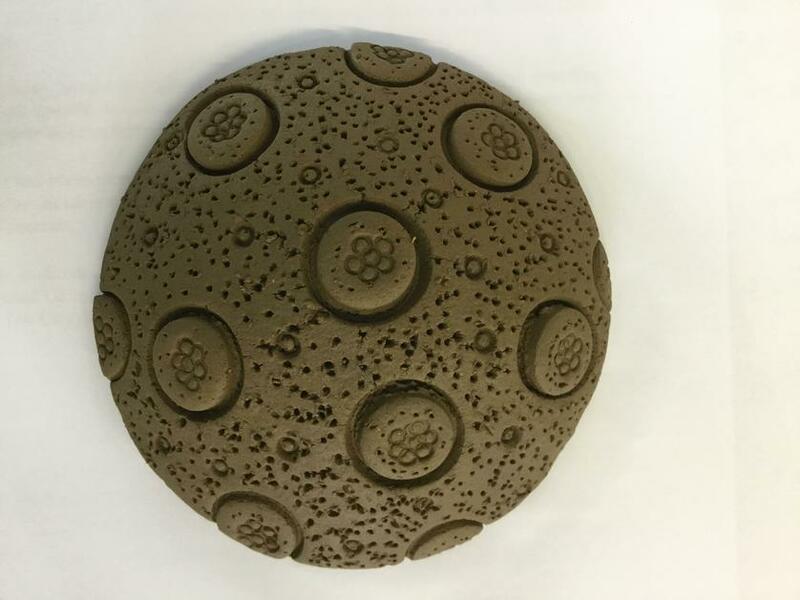 The First Clay Pieces Fired in the Kiln by Harrogate College! 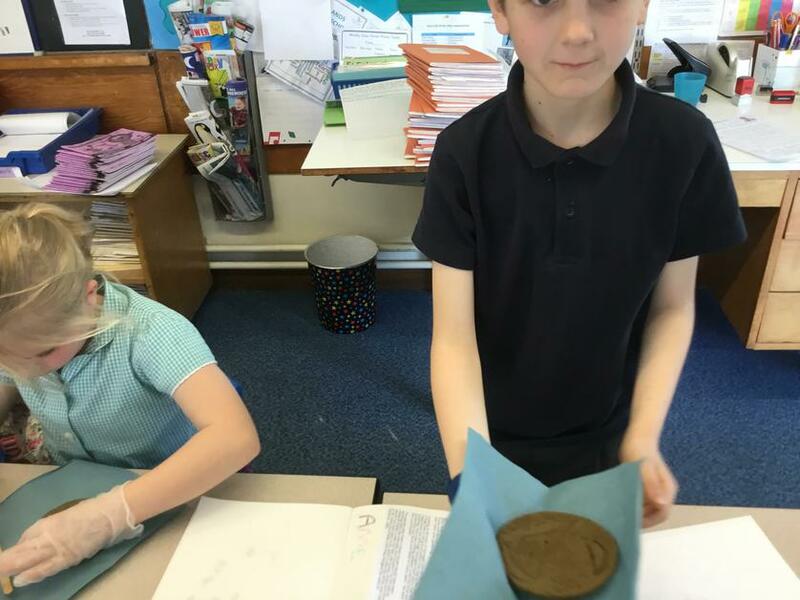 In 5T today we got to see the clay pollen pieces that have been made last week after being fired in the kiln at Harrogate College who have kindly done this for us. 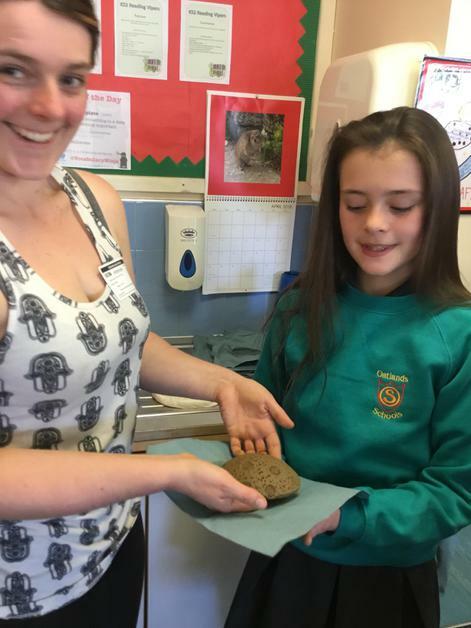 The clay is Oatlands clay dug by Anna from her garden and then processed by Upper School during Arts Week. The clay in this area was used over 100 years ago where there used to be a brick works, in fact the whole area used to be called Brickfields until they changed the name in 1883 to Oatlands. 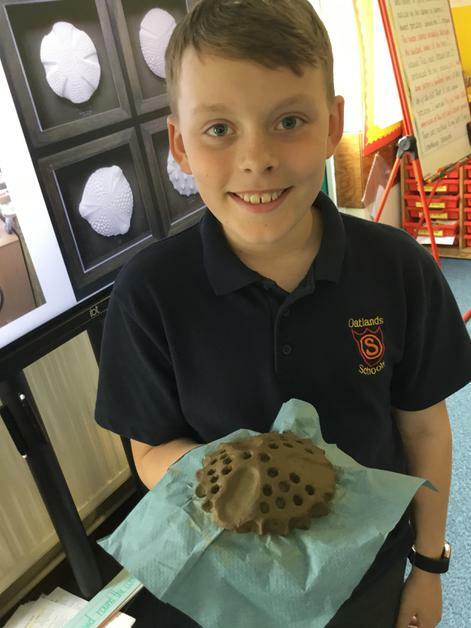 Thank you Harrogate College for firing our clay pollen pieces from all the children at OJS. Children’s ceramic pieces were designed and created from their drawings. 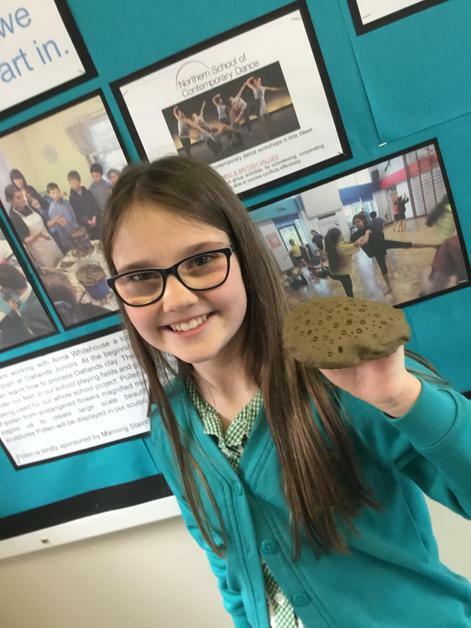 It’s been a busy week in the Art lessons all week as Anna came in to work with us again using clay. 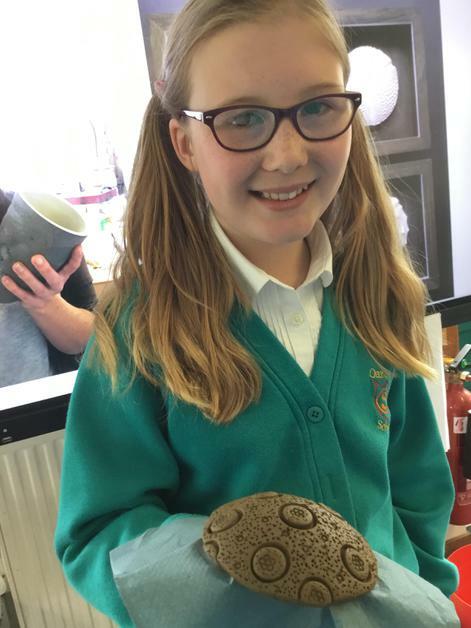 Sadly we were told our large clay pollen pieces we created in Arts Week couldn’t be fired due to cracking in production despite Anna working trying to save them. Sometimes this can happen but a new design for our sculpture was collaboratively created and we have had an amazing week of every child creating their own Pollen piece which will be assembled to create a huge Pollen piece sponsored by Manning Stainton Harrogate to be unveiled in an exciting ceremony on the 12th June at 6.30 as part of our Arts Exhibition. We are pleased and privileged to say that we have the Mayor and Mayoress who will be unveiling the piece and opening our sculpture garden on our exciting evening. Take a look at the wonderful works our talented children have created this week. We can’t wait to see the finished art piece! 5M and 5T take part in Arts Committee workshop ideas. 5M and 5T took part in workshop activities created by Arts Committee for their presentation to The Mercer Gallery next week ( See Arts Committee Page for details). 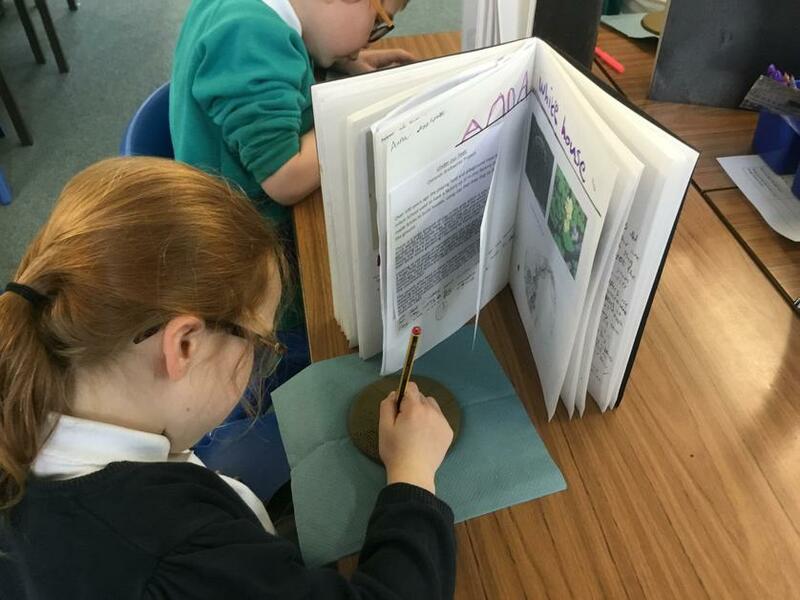 Workshops were inspired by the exhibition currently on at the Mercer Gallery, A Woman’s Work: Women Artists in the Harrogate Fine Art Collection. This is celebrating the centenary of women being able to vote in the UK. The workshops included looking at techniques used by female artists in their work, use of colour, imaginative drawing and narrative, thinking about successful female authors such as JK Rowling and creative painting and collage celebrating diversity and being proud of who you are. 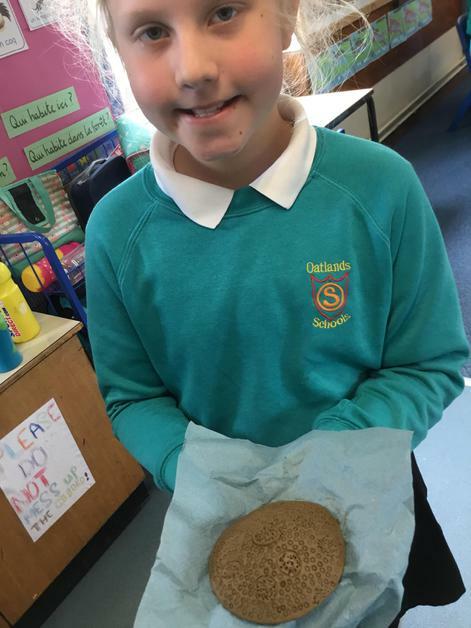 All children enjoyed taking part and were pleased with their art works created in the lesson. Thank you Arts Committee. An exciting day celebrating World Book Day. In Art, I had the chance to share with children in Year 4 my love for books and literature and my favourite book when I was a Year 4. This was the The Butterfly Ball and the Grasshoppers Feast by Alan Aldridge and William Plomer based on the poem by William Roscoe in 1802. Children enjoyed hearing the poems and had a go at studies of the vibrant illustrations within the book. 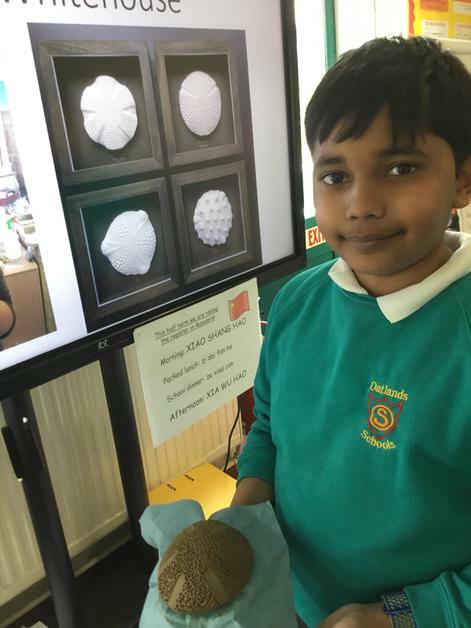 Year 5 took photos of their sculptures using mini studios and photographic techniques. Have a wander down our library corridor to see some of our amazing finished paintings. Well done Art Club. IVE has been sharing stories of outstanding Arts Award and Artsmark practice in schools (two different programmes created by Arts Council England that compliment and build upon each other). Oatlands was identified as an outstanding example to others, of how you can provide children with great arts and cultural experiences and demonstrating an excellent commitment to the arts. IVE is a social enterprise that is working to ensure a more creative future for businesses, teachers, children and young people. IVE supports the development of creativity as a transferable skill to improve employability and productivity. They connect young people with great cultural opportunities and aim to inspire the next generation of creative and culturally literate entrepreneurs. Please read our story on the link above. 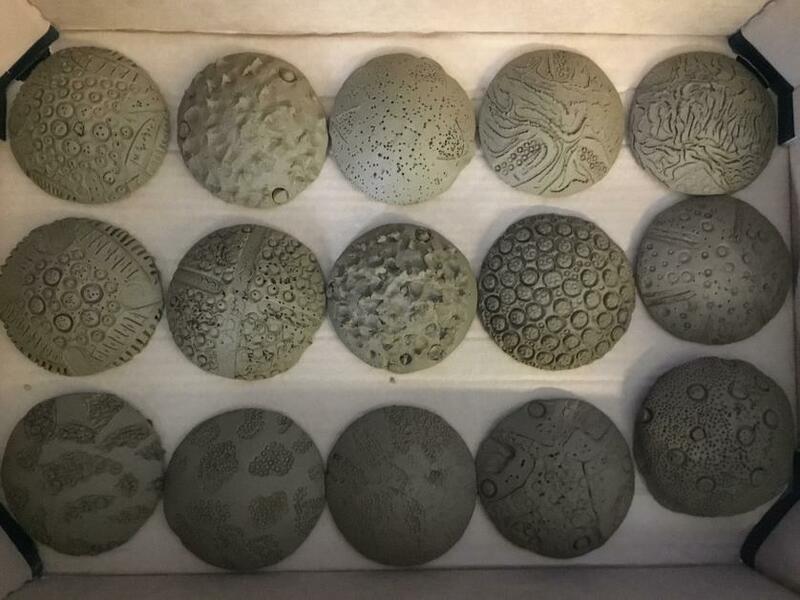 Abstract drawing techniques inspired by our clay pollen pieces. 6M have been looking at the artist and ceramicist Gordon Baldwin. Born in 1932, Gordon Baldwin studied painting and pottery, first at the Lincoln School of Art and then at the Central School of Art and Design in London. Strongly influenced by contemporary sculpture, he began handbuilding clay in the 1950's using a variety of techniques. He has made work in both earthenware and stoneware, often reworking and refiring pieces several times. 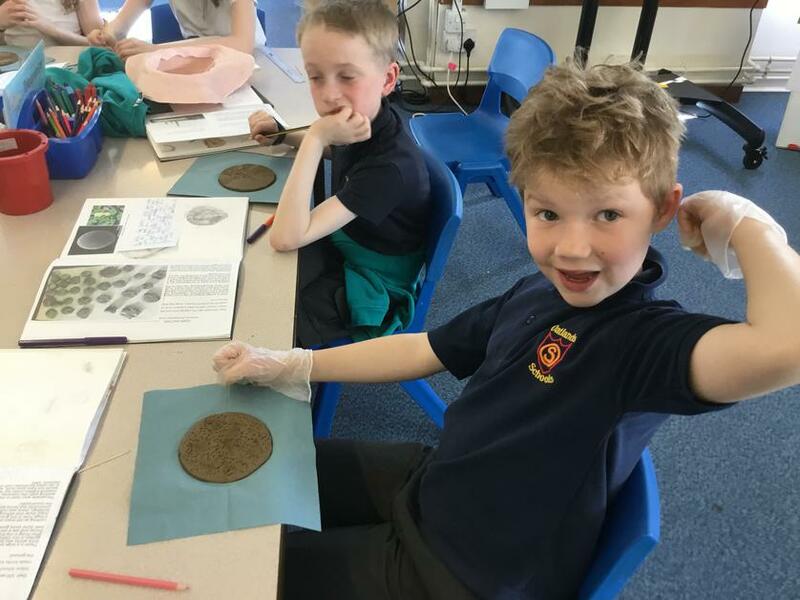 Children have been looking at the sketches and drawings by the artist and have created their own looking at their own Pollen sculptures made with Miss Joseph and abstracting detail from them. 3M and 3H preparing art work for the Wonderful Windows event organised by Oatlands Community 23rd & 24th February. See the art work in Marks and Spencers. Year 3 have been looking at different ways of deconstructing, reconstructing and interpreting the British Flag inspired by artist Tony Cragg. By using different mark making techniques 3M and 3H created 5 abstract paintings inspired by the British Flag and thinking about British Values. Take a look in Arts Week, (this years theme, Contemporary Arts) in Arts at OJS and updates in Class Pages for all the exciting arts activities, workshops and projects taking place. Year 6 are working towards their Arts Award, while Northern School of Contemporary Dance are delivering workshops to all the children at OJS. 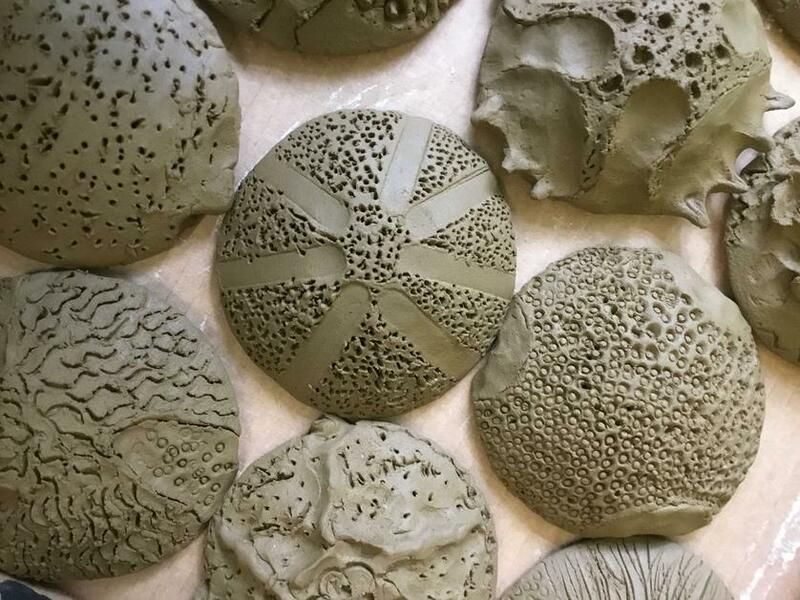 The Mercer Gallery has brought the gallery to our children in lower school and local artist Anna Whitehouse is working with the children in our exciting collaborative ceramic project Pollen sponsored by Manning Stainton in Harrogate. 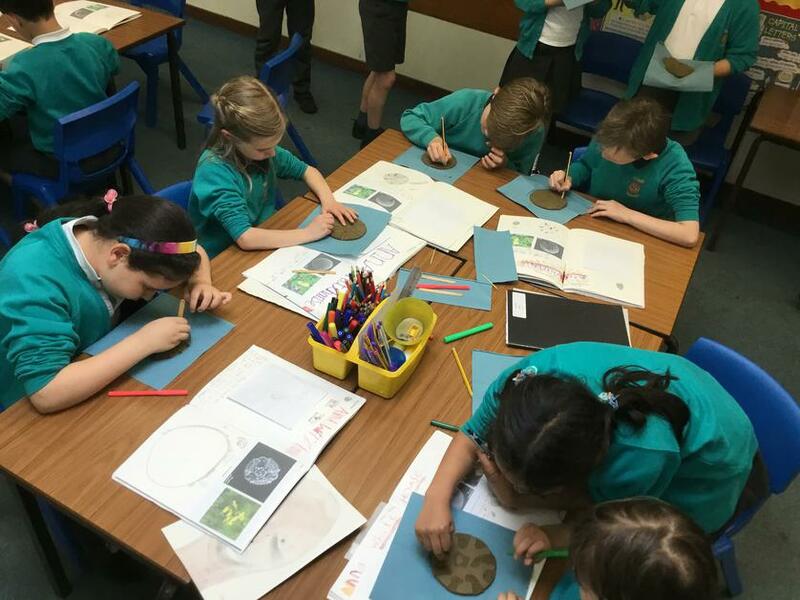 Children in Year 5 and 6 took part in workshops whilst on their visit to the Yorkshire Sculpture Park. 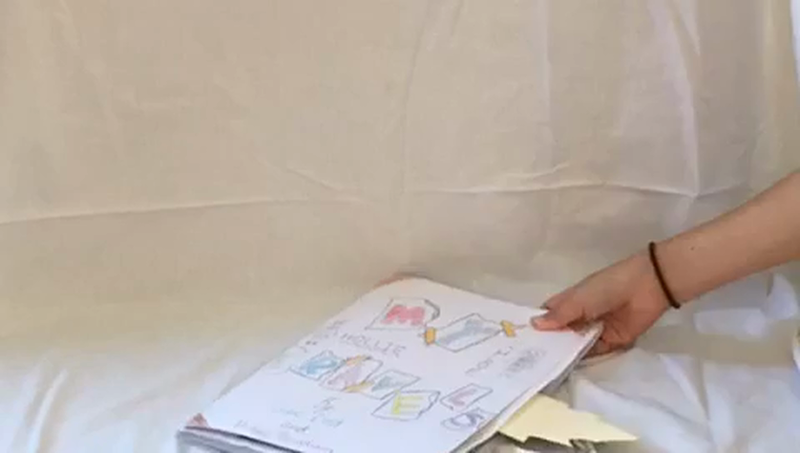 Children are encouraged to share their artworks which have been created outside the classroom. Jack in Year 6 shared these stunning and creative photographs taken whilst out with his family. 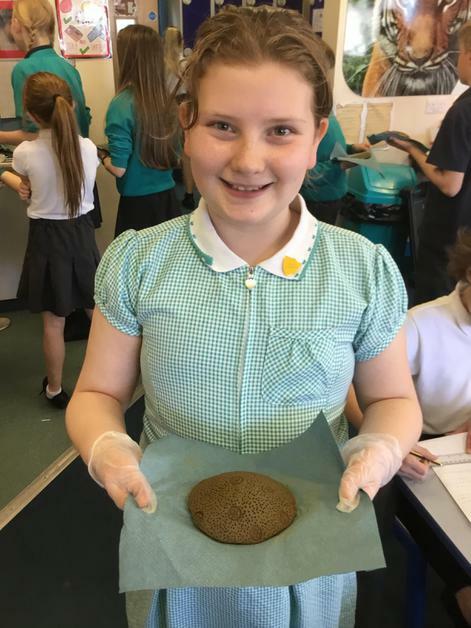 ‘ We would like to extend our warmest congratulations to Madeline, Katie and Rosa, from your school, who have both been awarded prizes and we enclose invitations for Madeline, Katie and Rosa to take home which invite them and their families to our prize giving event at Fountains Abbey in May’. Emma Manners, Learning Officer National Trust. Well done to all year 6 children who took part in this project the standard was incredibly high from Oatlands and all together their were 1800 entries to this competition. Have a look further down this page to see how Year 6 Folly designs developed. It’s a busy start to the term across the school in the Art lessons as we begin to prepare for Arts Week starting on the 5th February. This years theme is looking at Contemporary Art and what concepts are within art works. Children across the years have looked at art that makes a statement and how art can have a voice. Year 3 and 4 have been studying self portraits this term and researching how artists create different styles of self portraits. One artist we have been looking at is Pablo Picasso where children have drawn studies in their sketchbooks investigating techniques used by the artist. In our Art lessons we have been looking at the wide spectrum of skin tones of people around the world. Working with watercolour paints. children in lower school worked in their sketchbooks developing skin tonecolours using only the three primary colours red, blue and yellow. We celebrate individuality and know that everyone is special. We respect ourselves and others. Children this term have been researching the architect Frank Gehry and his building in Paris, The Louis Vuitton Foundation Building a centre for Arts and Culture. Children have been exploring the App, Apprentice Architect created by Touch Press and discovered how architectural buildings are designed and created. This has included looking at architectural features designed by Frank Gehry using the virtual tour of the Louis Vuitton building within the App. Children learn how Frank Gehry develops his design from 2D to 3D using digital design and what he is inspired by to create such unusual buildings. Children will then develop their own ideas to design their own architectural building in the style of Frank Gehry! After applying to take part in the competition we were successful in being accepted to have a workshop provided by North Yorkshire Society of Architects. 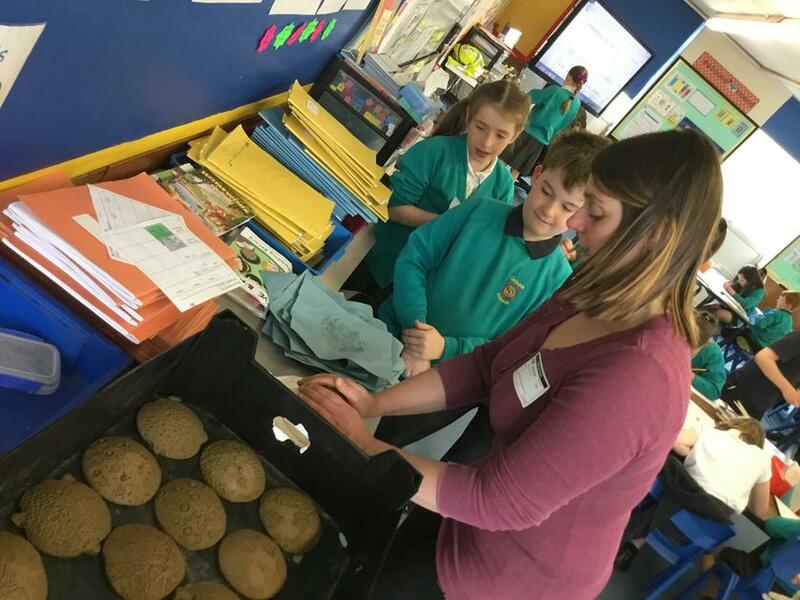 Children had the opportunity to work with architect Ruth Donnelly from Doma Architects Ltd in a special architecture project. 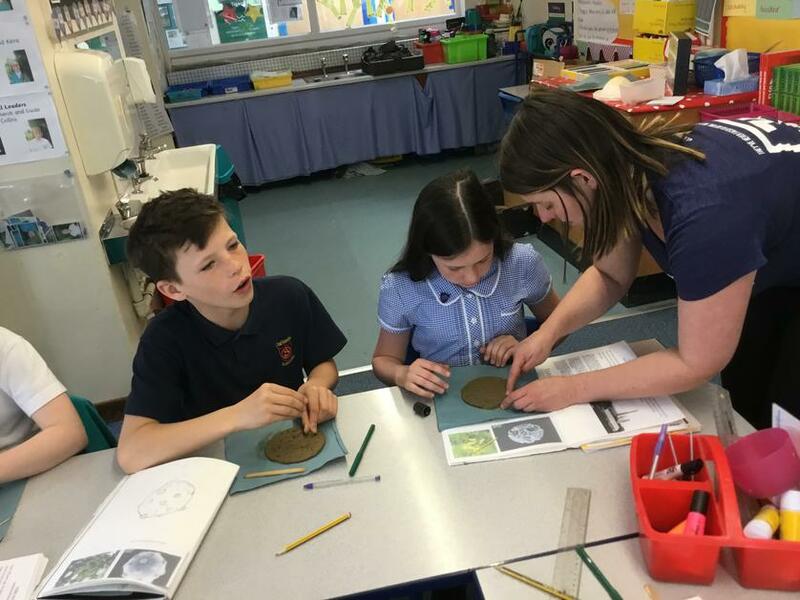 We were also delighted to have Emma from the National Trust at Fountains Abbey who came to have a look at some of the ideas created in the workshop. Both were impressed by the imaginative and creative designs by children at Oatlands during the workshop. Thank you Ruth Donnelly for the great workshop which we all thoroughly enjoyed and learnt how to think and work like architects. ‘Thank you so much for inviting me to present the architectural workshop to your year 6 pupils. The children were so incredibly enthusiastic, which was wonderful to see. They were all quiet during the presentation, engaged with the presentation material and were keen to answer any questions asked. All pupils were full of enthusiasm during the design task, and created numerous designs in the 15 minutes given. I was particularly impressed to see them discuss their ideas with each other. They all picked up on the scale task and translated this into the secondary design task when they drew their design on the template. Scale is quite an arbitrary thing, so it was very impressive that they picked up on it so quickly. 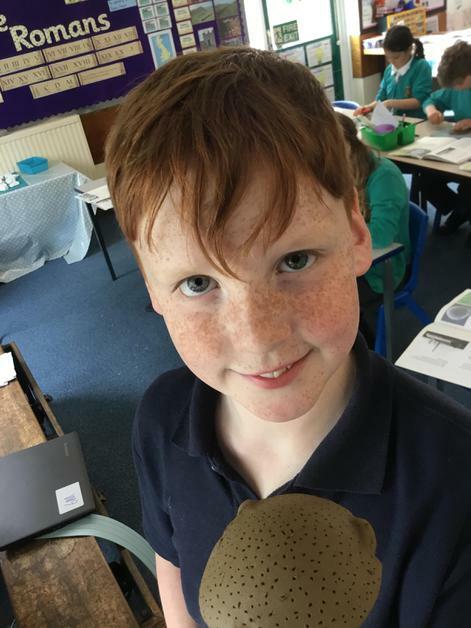 Pupils were very keen to share their designs with the class at the end of the session, and expressed their ideas very clearly, illustrating very good communication skills. Most architects would not have done as well! The pupils had some wonderful ideas, and I cannot wait to see their competition entries. I understand today is National Teacher’s day, and I just wanted to say a big thank you to you, for your incredible enthusiasm. 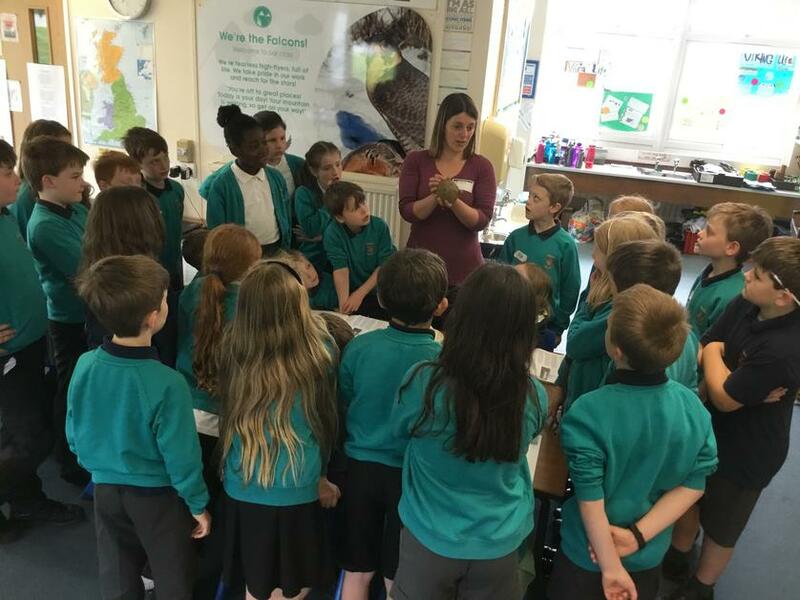 I am absolutely certain one of the main reasons that the children were so well behaved and enthusiastic was because you introduced the pupils to the project themes in advance of the workshop’. our Year 6 children who worked hard on their designs. Year 6 have been developing their watercolour techniques and applying them to their architectural drawings. This week’s focus was to add layers of paint to create shadow on our buildings thinking about a directional light source, in this case the sun. 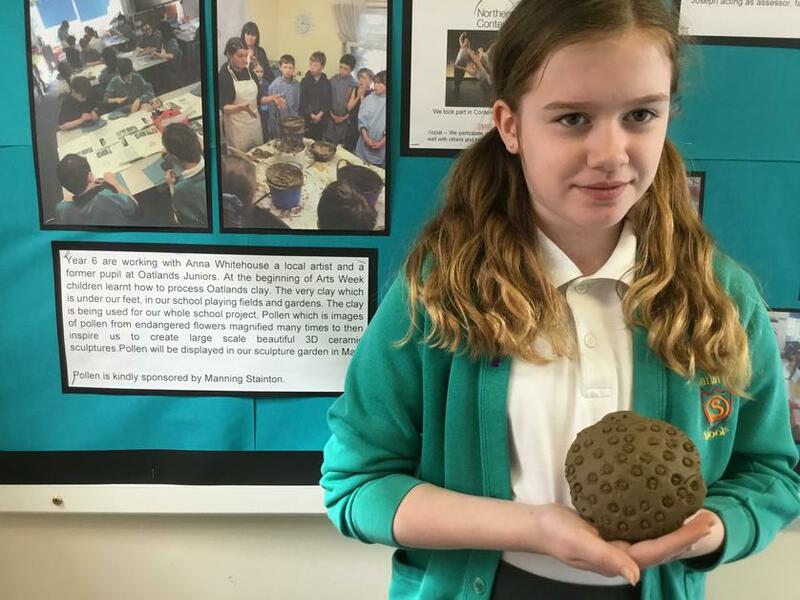 This award is given to an individual who demonstrates commitment to Art and Design throughout their time at Oatlands Junior School. The recipient of this award is an inspiration to others in attitude and creativity through Art and Design. Tess Eastaugh was awarded the Art and Design Award 2017 for excellence in drawing and for inspiring others with her creativity and commitment in Art and Design. Congratulations to Year 6 leavers who passed their Discover or Explore level in Arts Award. 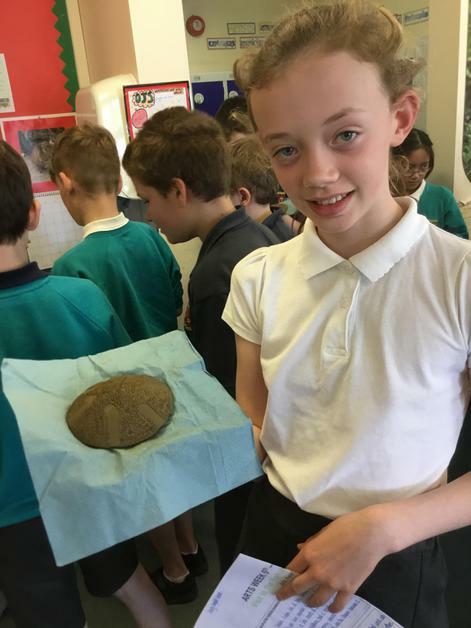 At Oatlands we offer Arts Award at Discover and Explore level in Year 6. Arts Award is a certification in the Arts that supports young people to grow as artists and arts leaders, inspiring them to take part in the wider arts world through taking challenges. Year 6 created a portfolio to record and reflect their creative journey.